The festival favorites unite for a new single. A-Trak is aiming to claim the summer early with his new new single "Parallel Lines", a collaboration with New York electronic duo Phantogram. 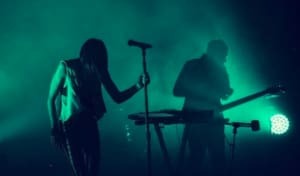 The festival favorites unite on the sunny track, as A-Trak's glittering guitars cruise beneath the Phantogram vocals. The Fools Gold head honcho premiered the new song on Beats 1. Stream "Parallel Lines" below and preorder the single on iTunes.